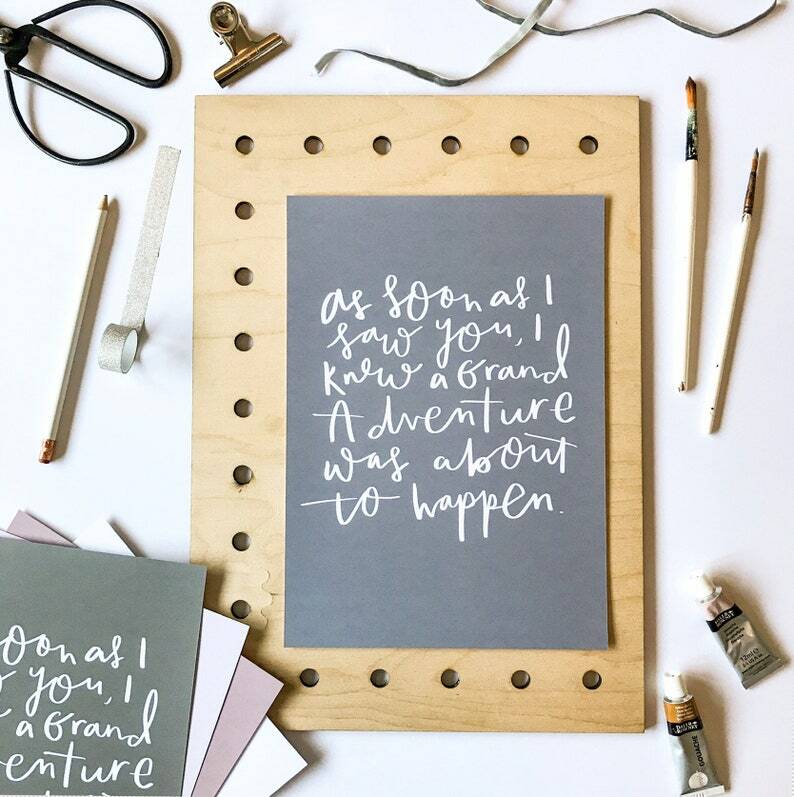 “As soon as I saw you, I knew a grand adventure was about to happen.” print. You can customise the colours using the swatch list as a reference. You can change the text and/or background colour. Leave colour reference numbers at checkout. - A2 up to 20”x30” printed onto FSC 210gsm brilliant white paper manufactured in the UK. Posted in a tube. Any size over A3 are UK SHIPPING ONLY will have a longer turnaround time of 1 week+ (not including shipping).